Nokia Mobile introduced a new option on its Indian web pages that might interest everyone who is planning to upgrade its existing Nokia phone. 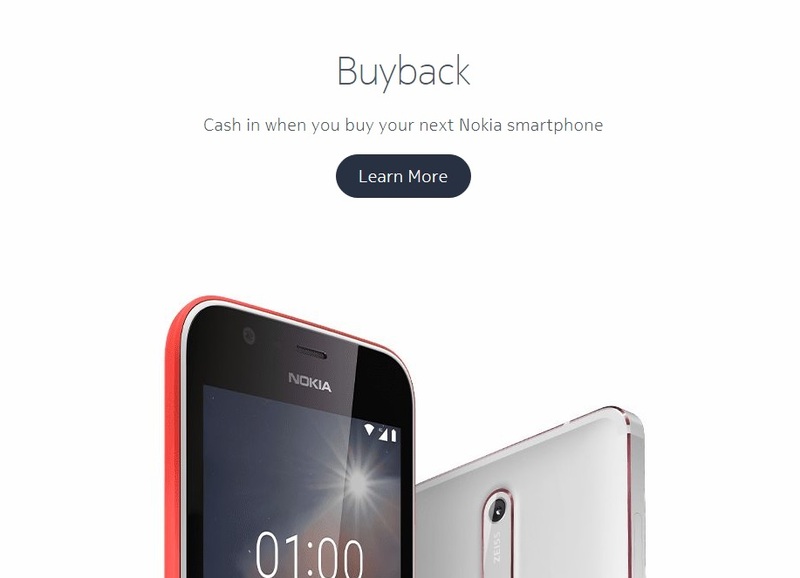 Nokia is willing to buy back your old Nokia phone while you are buying a new one. This Cash Back program service works over Cashify, a company that praises and buys the old smartphones, and also Android Nokia phones. On Cashify web pages you can check what Nokia devices are they currently buying back. If you are about to purchase a new Nokia smartphone over the Nokia web page, before adding it to your cart, click the ‘Start Buyback’ button. Then you’ll answer a short series of questions regarding the condition of your old device. Based on this, a quote will be generated by Cashify. After receiving a quote for your old device, you can place the order for your new Nokia device. Once the order is confirmed, you’ll be notified of the estimated delivery time. Upon arrival of your new phone, you’ll be contacted by a Cashify agent to set an appointment. The agent will meet with you at the arranged time and evaluate the condition of your old phone. Then he will offer you an amount based on his evaluation, that may vary from the one maid in the first step. You can get paid in cash or via payment gateways, like bank transfer and wallets. Learn more about the program on the Nokia India web pages. This is a great deal that Nokia Mobile did. I would love to see this Buyback kind of services, spread throughout the world. If you are not a serious collector of a Nokia or any other phones, it would be nice to get some money for an old device that has no real use anymore but can be recycled and disposed of properly.